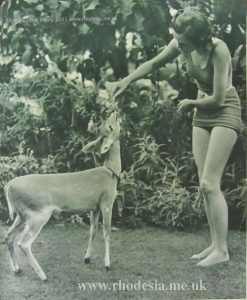 Rhodesia is essentially a land where one may enjoy the great “out-of-doors” untrammelled by the too close proximity of civilisation. 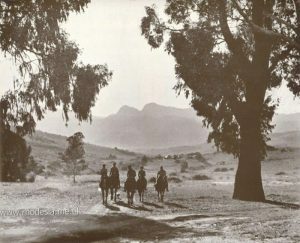 This picture of riders in the freshness of an early morning amid beautiful surroundings epitomises the character of Britain’s youngest self-governing colony. 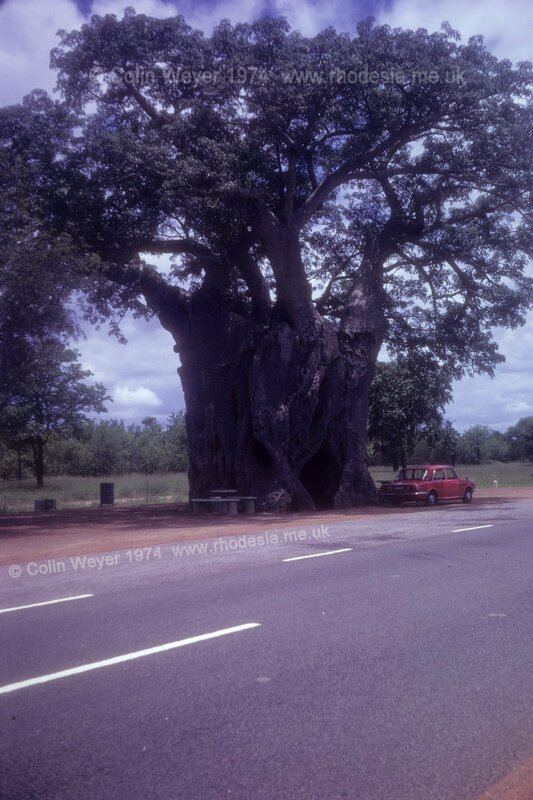 A GRAND OLD BAOBAB TREE ON THE ROAD TO BEIT BRIDGE. 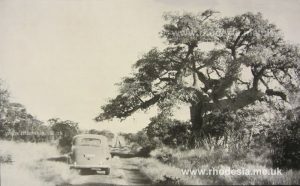 Compare this picture (looking South) with a view of the same tree taken looking North in 1974. 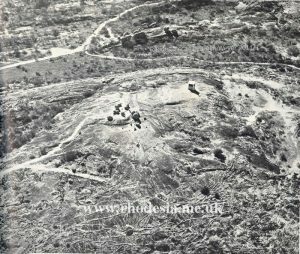 An unusual view from the air of Rhodes’ grave in the Matopo Hills. The huge boulders surrounding the grave are here dwarfed to the size of mere pebbles. 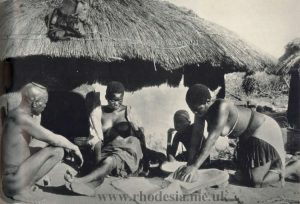 and his men who were annihilated by the Matabele on the Shangani River in 1893. 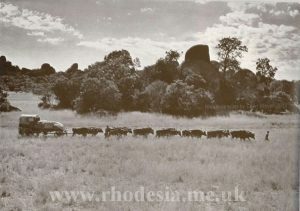 The Matopos Hills, which are within a short motor run of Bulawayo, are famous as the resting place of the founder of Rhodesia, Cecil John Rhodes. The Hills provide some grand scenery, and interesting rock paintings by the former Bushman inhabitants are to be seen in various parts of the range. A Matabele family in a homely setting. 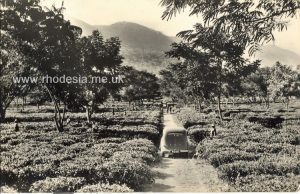 A flourishing Tea Estate in the Eastern Districts. 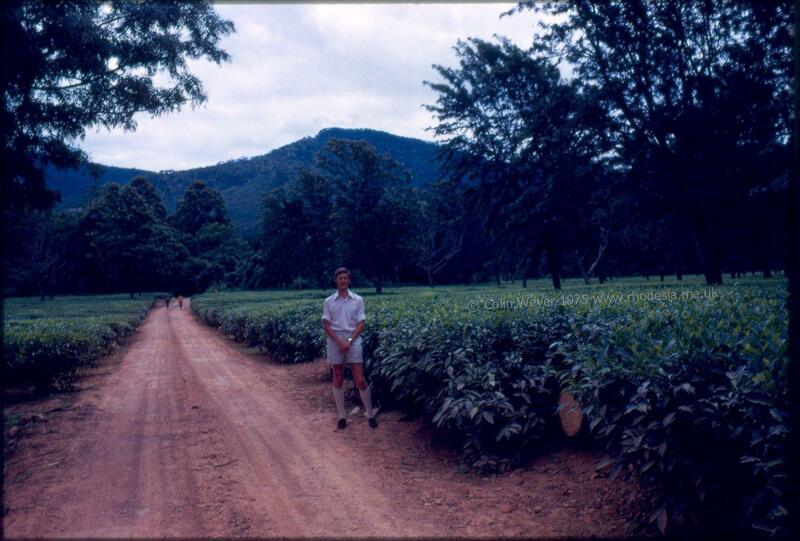 Rhodesian grown tea was first marketed in 1930. 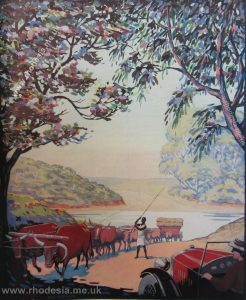 22,671 lbs of tea was exported in 1937. 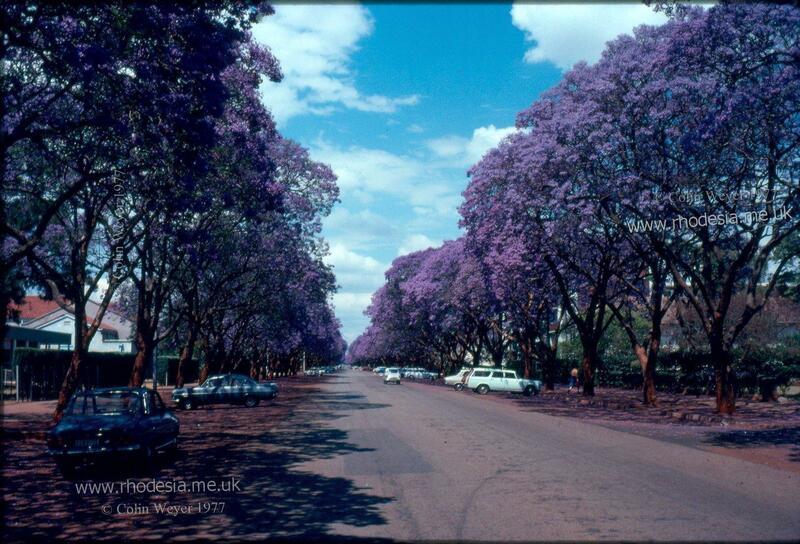 MAIN STREET, BULAWAYO, AT SUNRISE. 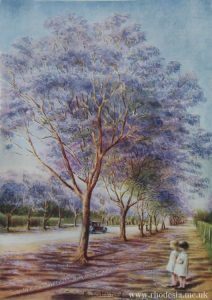 From an Oil Painting by T.H. Bryant. 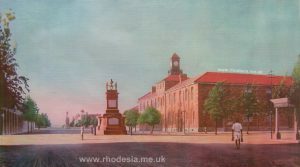 The view above shows Main Street in 1926 with the Rebellion Memorial in the foreground and John Tweed’s statue of Cecil Rhodes beyond. A similar view little more than 30 years earlier would have shown but wild bush country.